As we near the end of the year, the Toronto region’s housing market seems to be continuing its slow but steady upwards trajectory, with both sales and prices inching upwards month-over-month. Still, an interest rate hike from the Bank of Canada last week has left some wondering how the market will perform in the coming month. For a closer look at what November has in store for the area, Livabl has rounded up the latest industry commentary, to keep you in the know. 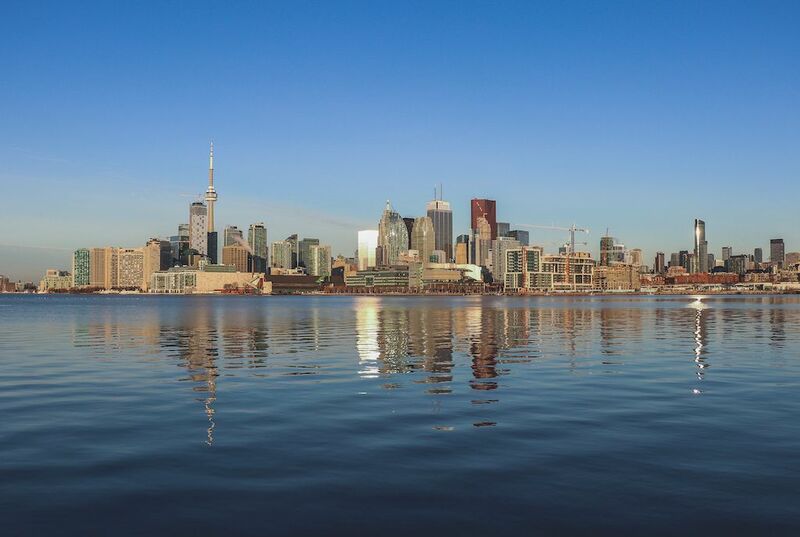 Last quarter, GTA new condo sales grew 4 percent year-over-year, the third highest Q3 sales volume in 10 years, according to a report from real estate research firm Urbanation, released this week. That’s down 46 percent from Q3 2017’s record 25,839 sales, but it’s further proof that the market has remained strong despite rising interest rates and stricter mortgage rules imposed earlier this year. “The average sold price for all actively marketing projects in Q3 increased 11 percent annually to $745 per-square-foot, with asking prices for unsold units up 19 percent to an average of $972 per-square-foot,” writes Shaun Hildebrand, president of Urbanation, in the report. And it’s not just the new condo market that’s projected to do well. Many experts believe Toronto has largely adjusted to demand-based policies, including the Ontario government’s Fair Housing Plan, that took a serious bite out of the market in the spring of 2017. Royal LePage has predicted a 2 percent price bump for the GTA in the final quarter of 2018, a trend that it says will likely continue in the new year. “There will likely be continued price growth in the GTA, backed by strong household formation in the area,” Phil Soper, president and CEO of Royal LePage, tells Livabl. Private lenders made up 20 percent of mortgage refinancing deals in Toronto in Q2 of 2018, up 67 percent from two years ago, according to a joint-report from online brokerage Realosophy and real estate data provider Teranet released this week. One of the issues with the rise in private loans is the risk it poses to homeowners. “The one problem with borrowing from private lenders is that the interest rates they charge are much higher than traditional banks — interest rates can range from 7 to 20 percent, depending on the property and the borrower,” writes Pasalis.